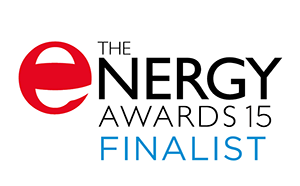 We are delighted to announce that Chil-LED, our high-power LED light designed for cold storage areas, has been shortlisted for Energy efficient product of the year – Lighting category, at The Energy Awards 2015. Chil-LED has greater energy savings than other LED warehouse lights because the heat energy produced by the LED chip (around 70% of the energy input) is extracted via an innovative heat pipe system to a heatsink outside the cold store insulation skin, where it is passively dissipated. Convential LED warehouse lighting dissipates this heat directly into the warehouse where air-conditioning and refridgeration units work overtime to keep the store at the desired temperature. “It is fantastic news that the judges recognise Chil-LED’s unique energy saving features.” says Simon Leggett, Director and Founder of Olivewood Technology, and inventor of Chil-LED. We eagerly await the results, which will announced at a ceremony at Hilton Park Lane, London on the 2nd of December – fingers crossed! © 2019 Olivewood Data Technologies Ltd.
Olivewood Technology is a trading name of Olivewood Data Technologies Ltd.